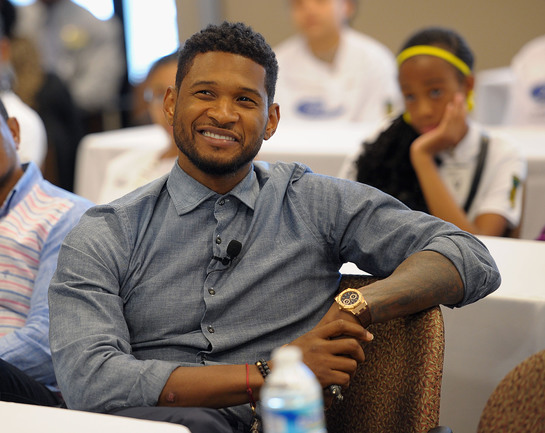 Usher's New Look Foundation, a non-profit organization founded by Usher Raymond IV, hosted the third World Leadership Conference in Atlanta, Georgia at Emory University from June 19-22, 2012. 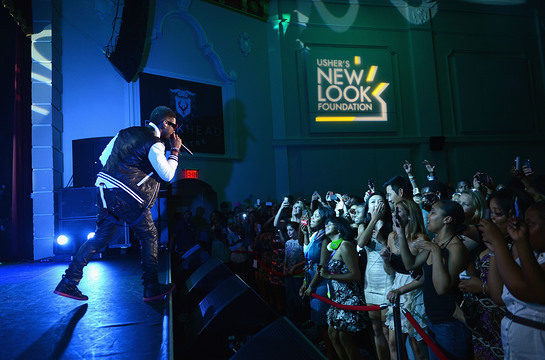 The World Leadership Conference is an annual initiative that brings together celebrities, influencers, newsmakers and accomplished youth from around the world, with the goal of educating and empowering young people in New Look’s four pillars: talent, education, career and service. To kick off the World Leadership Conference, Nicole Lyons, NASCAR’s first female African American race car driver; Vernon Davis, San Francisco 49ers; Tanner Smith, Tanner’s Totes; coach, author and speaker, Timothy “Coach T” Thompson; Tonya Lewis Lee, Editor-In-Chief of HealthyYouNow.com and Chief Creator, ToniK Productions; and Kelly Osbourne participated in Professional Development Day, mentoring and inspiring 150 of the top New Look youth leaders through leadership training to teach the skills needed to become agents of change in their community. 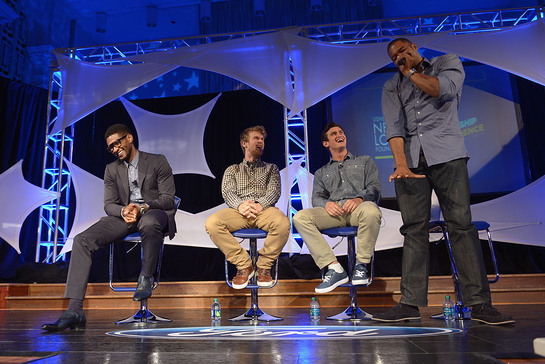 On Wednesday night, Usher, Michael Strahan and Jonnie Penn and Dave Lingwood of MTV’s “The Buried Life,” participated in a panel discussion titled “Passion & Purpose,” moderated by David Burtka of E! Entertainment. The panel gave audience members an inside look at how these individuals use their talents and passions to ignite change, empower others and make a difference. On Thursday, June 21, 2012, Leadership Certification Day, the 150 hand- selected New Look youth took over Atlanta and used Wednesday’s training as a vehicle to empower and mentor approximately 1,000 Atlanta-based middle school students as leaders. Students traveled to 15 corporate project sites including AT&T, GE and Georgia Power, to become certified leaders through New Look’s “Powered By Service” training. including John Rice, GE; John Brock, The Coca-Cola Company; and Mayor Kasim Reed, to develop leadership and problem-solving skills in a real world setting. 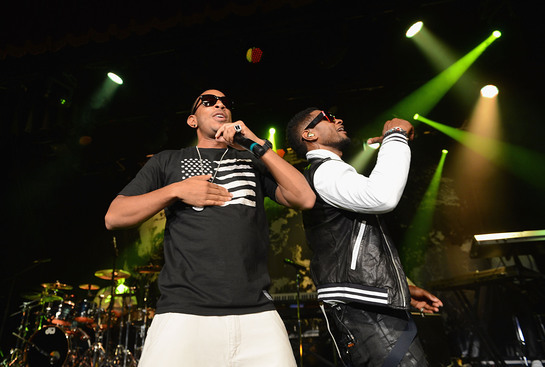 To close the Conference, Usher took the stage for a special performance, “Usher & Friends,” featuring surprise musical guests, Ludacris, T.I., JMSN and a group of New Look youth. 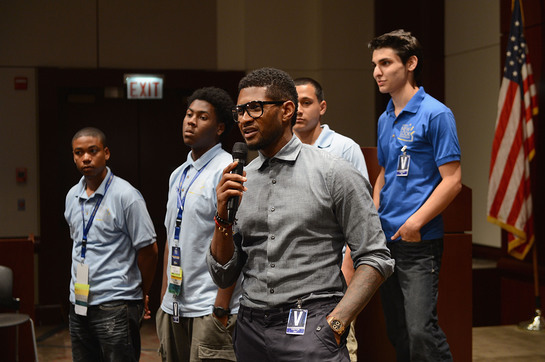 “The 150 youth in attendance at this year’s World Leadership Conference are the most talented youth around the world, full of passion to strive for the best and to give back to those around them,” said Shawn H. Wilson, President of Usher’s New Look Foundation. These youth leaders are the 10% who will lead the 90% of their generation and I am truly humbled by their leadership skills and their willingness to succeed." The World Leadership Conference could not have been possible without the generous support of major investors: AT&T, Ford Motor Company, United Way of Metropolitan Atlanta, WME, The Coca-Cola Company, Georgia Power, GE, Coca-Cola Enterprises and Southwest Airlines. 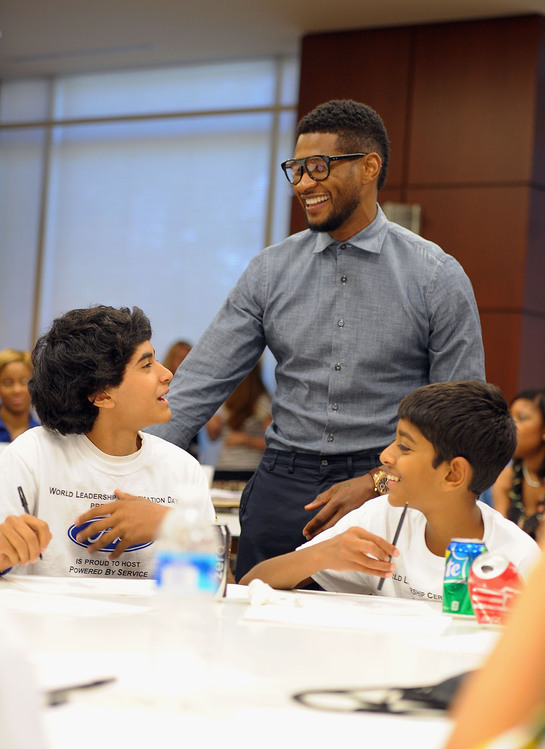 For more information about Usher’s New Look Foundation and the 2012 World Leadership Conference, please visit www.ushersnewlook.org.